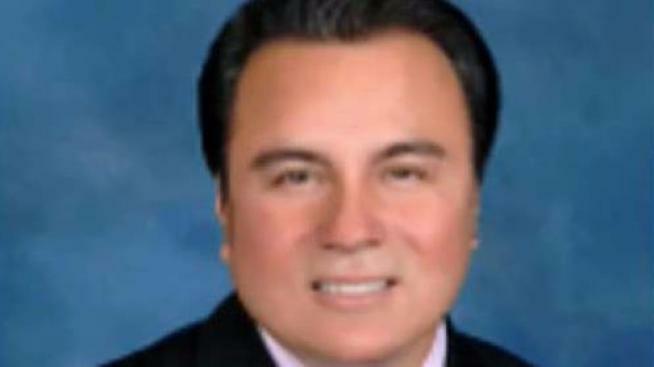 San Leandro city leaders on Tuesday night placed City Manager Chris Zapata on paid administrative leave pending completion of an investigation into a claim of sexual misconduct, according to the mayor's office. The move stems from allegations made by the director of a nonprofit who worked closely with Zapata. Rose Johnson, the head of the Davis Street Family Resource Center, said it took a lot of courage, a lot of energy and a lot of praying for her to come forward. "The City Manager used his position to pressure me into a relationship with him," Johnson said. Johnson said she depended on city funding to keep her nonprofit afloat, and Zapata insisted they hold meetings about that funding in her car outside a San Leandro Foster's Freeze. San Leandro city leaders on Tuesday night placed City Manager Chris Zapata on paid administrative leave pending completion of an investigation into a claim of inappropriate conduct, according to the mayor's office. During the meetings, Johnson said Zapata would give her gifts and make inappropriate comments. She said during one meeting he told her she held the key to getting an extension on a loan, a suggestion Johnson said crossed the line. "I got out of the car as fast as I could and flew here to my office, my sanctuary and fell apart. Johnson said when she rejected Zapata’s advances, he began to bad-mouth her, leading her to file an official complaint with the city last month. Johnson said she wants what’s best for her nonprofit but can no longer stay silent. "I think it’s shameful,' she said. "I think it’s an archaic way of doing business; I don’t think men can do that any longer." Last week, Zapata released a 23-page letter denying the allegations. On Tuesday night, the San Leandro City Council voted unanimously to place Zapata on leave and hired an independent investigator to conduct the probe into Zapata's alleged misconduct, Mayor Pauline Cutter said in a statement. "The City of San Leandro does not tolerate nor condone harassment of any type," Cutter said. "It also believes in due process. The City Manager will remain on leave until the City Council has had the opportunity to review the findings from the independent investigator." It was not clear who would conduct the day to day city manager duties in Zapata's absence.